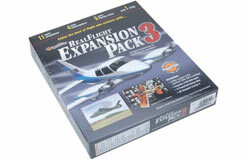 Expand Realflight G3 (or later) even further with Expansion Pack 1! 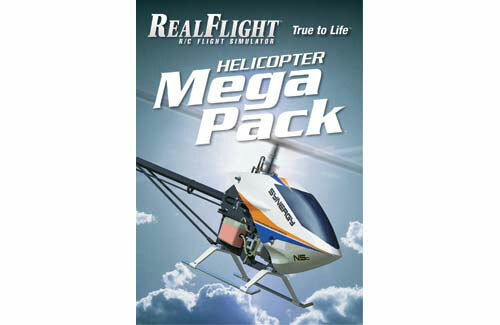 More models to fly, more fields to fly at, packed with everything from aviation's classics, lightweight foam models, large scale like the Matt Chapman Cap 580, more helicopters and even a flying lawnmower! 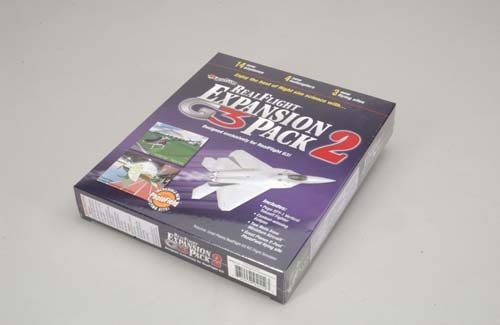 Expand Realflight G3 (or later) even further with Expansion Pack 2! 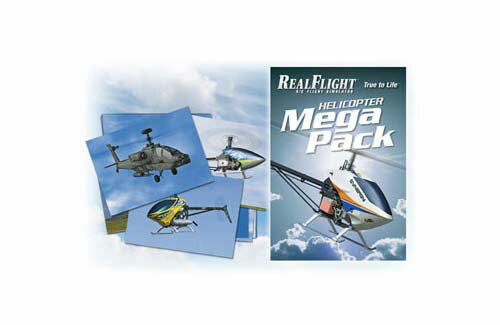 More models to fly, more fields to fly at, packed with everything from aviation's classics, lightweight foam models to composite jets and more exciting helicopters. 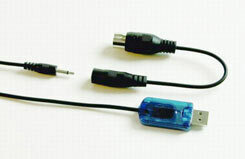 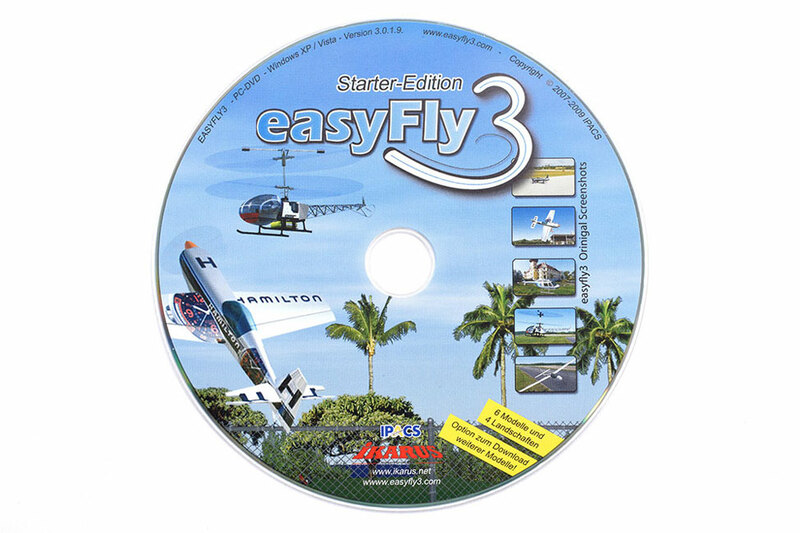 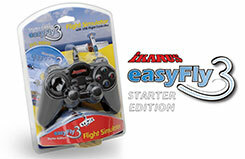 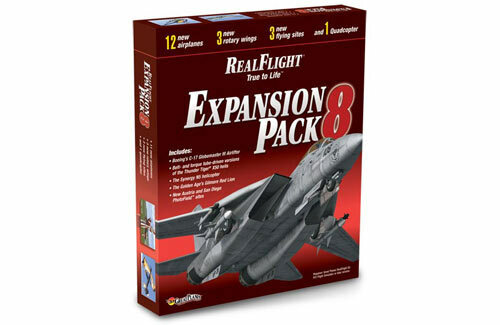 Expansion Pack 3 is designed to suit RealFlight G3 and G3.5 software. 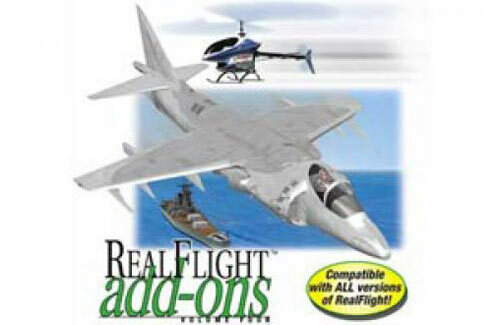 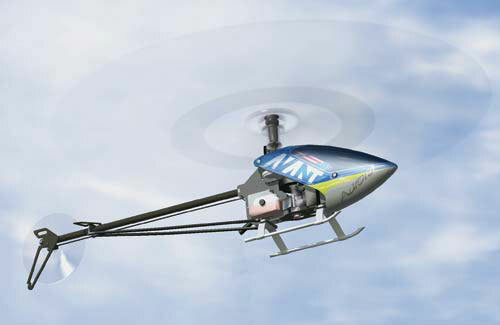 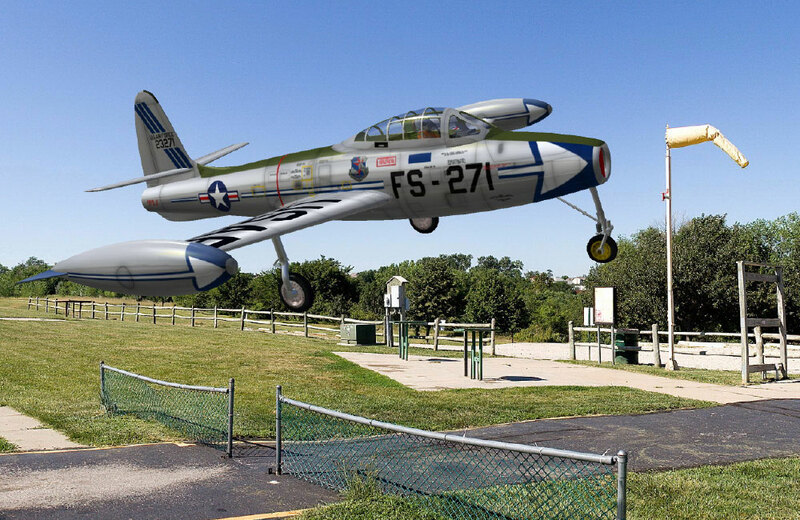 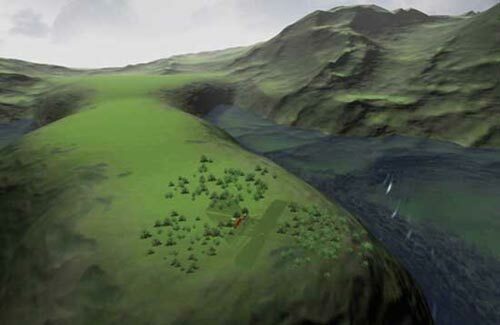 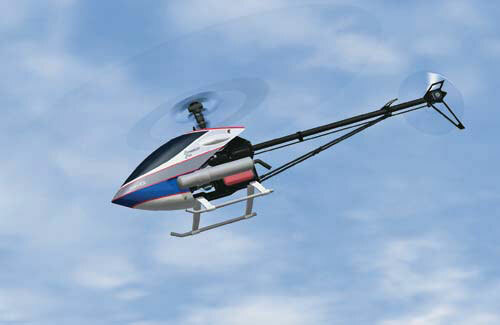 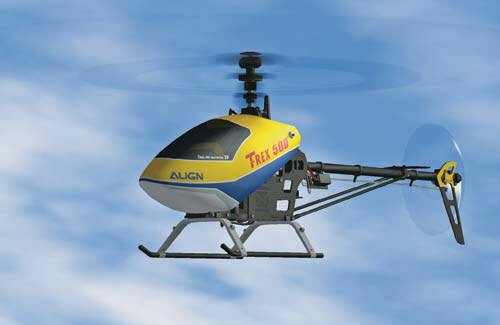 This add-on will alow you to fly in new scenery and many more models. 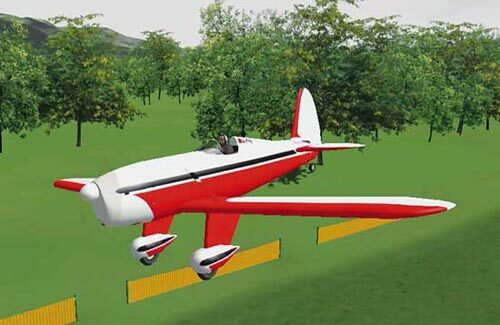 Allowing you to try a VTOL plane or simply take in the beautiful countryside in a nostalgic bipe. 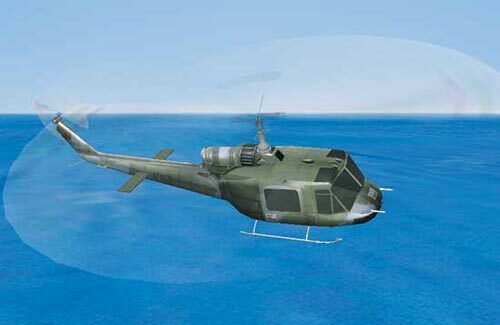 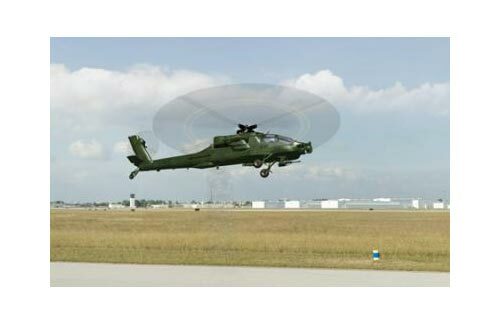 Included are 11 new airplanes, 4 new helicopters, 5 new flying sites and 1 VTOL! 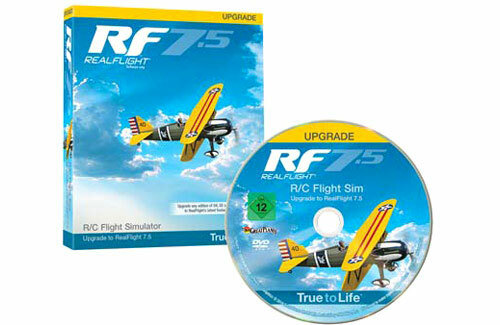 With RealFlight, the time of day and weather don�t matter � the world of flight is always as close as your computer. 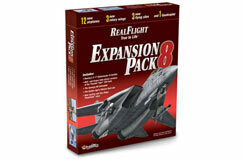 And with Expansion Pack 8, the world is full of new adventures. 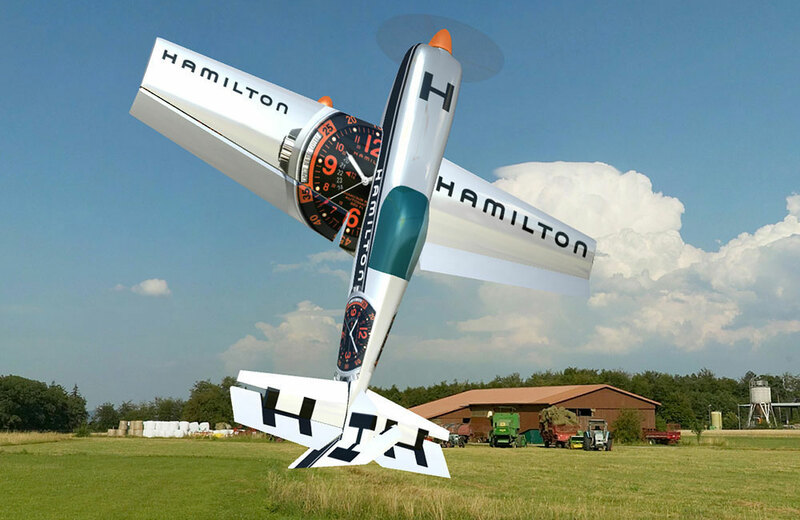 You can race a Thompson Trophy contender from the �30s, fly a massive Air Force transport or a legendary fighter � or push the Sbach 342 foamy or awe-inspiring Synergy N5 to new extremes in performance. 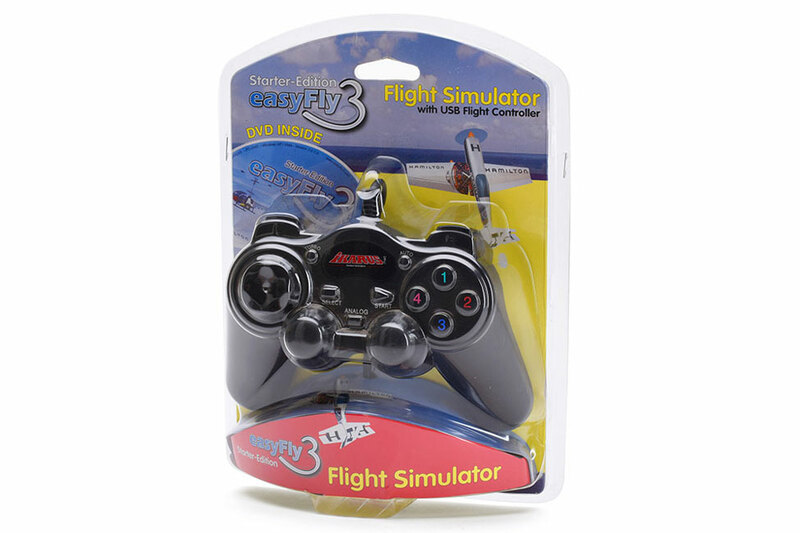 A new 3D Obstacle Course and two more PhotoField flying sites are available, too � and you can be ready to enjoy your choices as quickly as you can point and click! Trainer model, 3D aerobatic model, gas and electric helicopter, glider or jet model, EasyFly3 features the fitting model for every pilot. 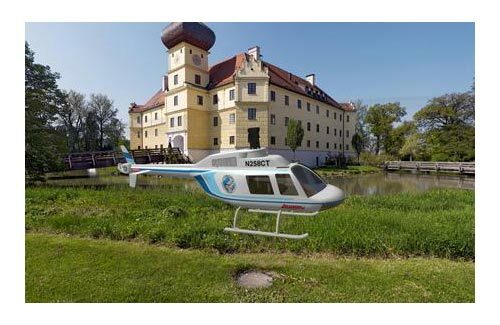 Its unique photorealistic sceneries together with many setup options offer an almost perfect R/C simulation. 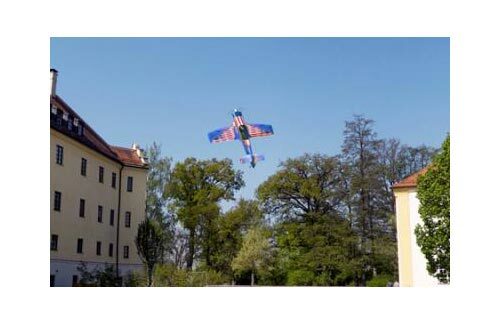 Soar at the popular soaring site of the Teck Castle or train new 3D manoeuvres on true aerobatic models. 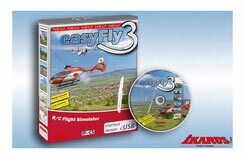 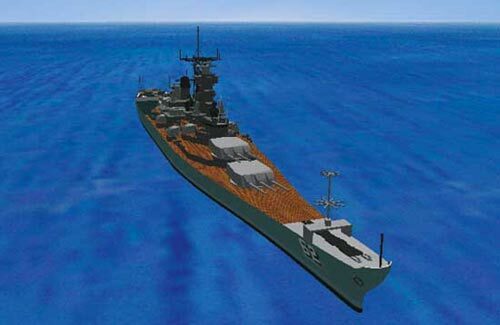 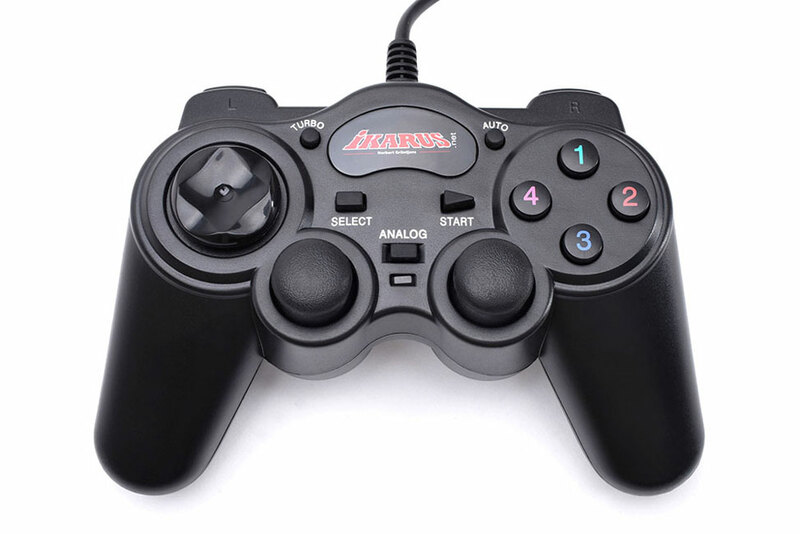 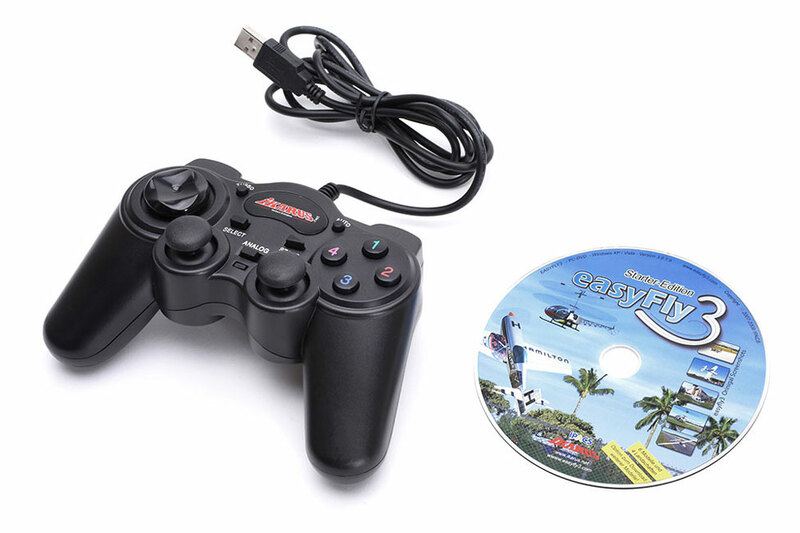 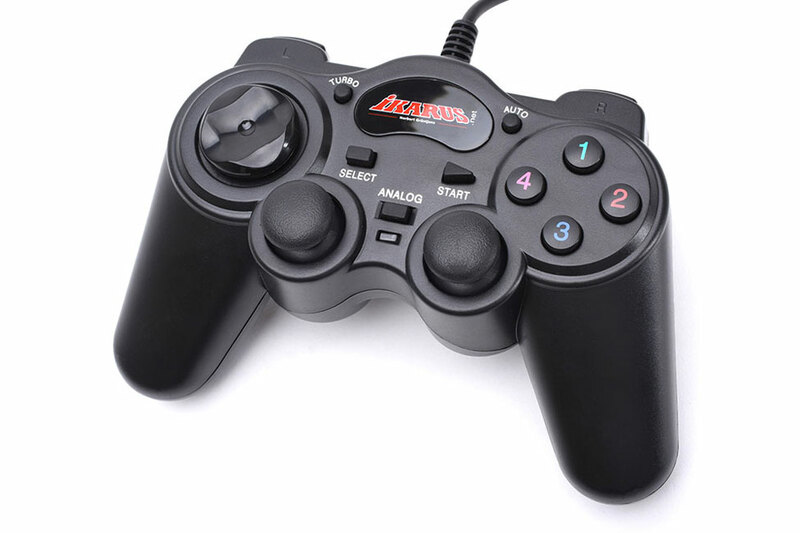 Discover the exciting areas of the 3D scenery in cockpit or follow mode or exercise yourself hovering with one of many included model helicopters. 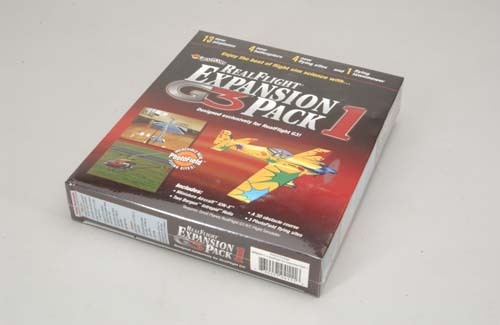 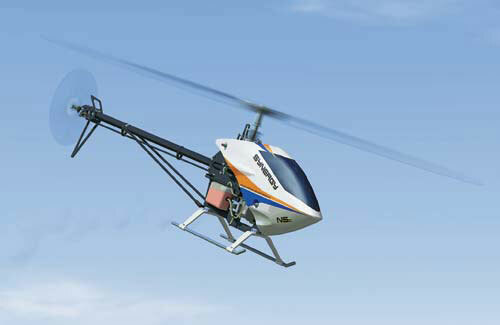 • 31 extremely detailed models, including 3D and F3A aerobats, 3-Metre TOC models, fighter jets, scale and trainer airplanes, indoor and outdoor helicopters (gas and electric, Slow- and Shock Flyers, thermal and slope soaring gliders, gas and electric powered airplanes, PPS-4D models and much more. 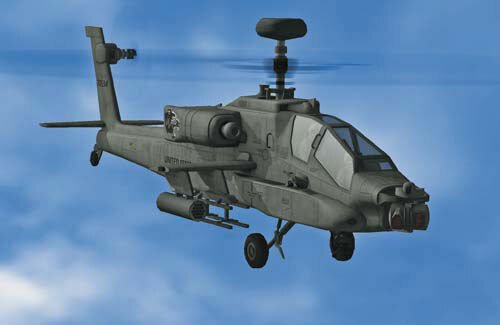 Augusta A109, Align T-Rex 500, Avant Aurora, Aurora 3D, Bergen Intrepid 90, Bergen Intrepid Gasser EB, Boeing AH-64 Apache, Boeing CH-46 Sea Knight Micro, Youngblood Rave ENV 90, Youngblood Rave ENV 700, Curtis Youngblood Rave 450, Dolphin, Dolphin 3D, Finch, Gaui X5-FES, Heli-Max Axe CX Micro, Heli-Max Kinetic 50, Heli-Max Kinetic 50 (Trainer), Heli-Max MX400, Heli-Max MX450 XS, Heli-Max Novus CP Nano, Heli-Max Novus 125 CP, Heli-Max Novus 125 FP, Hind Mi-24, Impala, Impala (Trainer), KDE Direct 700, Miniature Aircraft Fury Extreme, Miniature Aircraft Ion-X, Miniature Aircraft Stratus 90, RAH-66 Comanche, RJX Hobby X-treme 90, Robinson R22, Skyartec Wasp 200XE V4, Spritzer (4-stroke), Sun Dog (Sport), Synergy N5, Synergy N5C, Synergy N9, Thunder Tiger Mini Titan, Thunder Tiger Raptor G4 E720, Thunder Tiger Raptor 90 G4, Thunder Tiger Raptor 90SE, Thunder Tiger X50, Thunder Tiger X50T (Torque-tube), Watt Not.